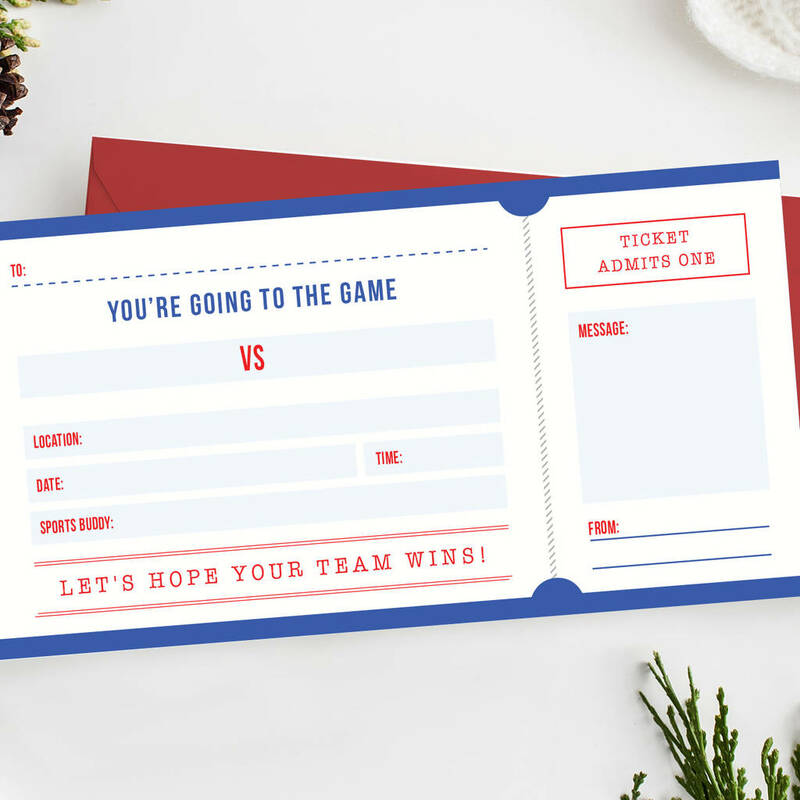 Are you taking someone to a sports game? 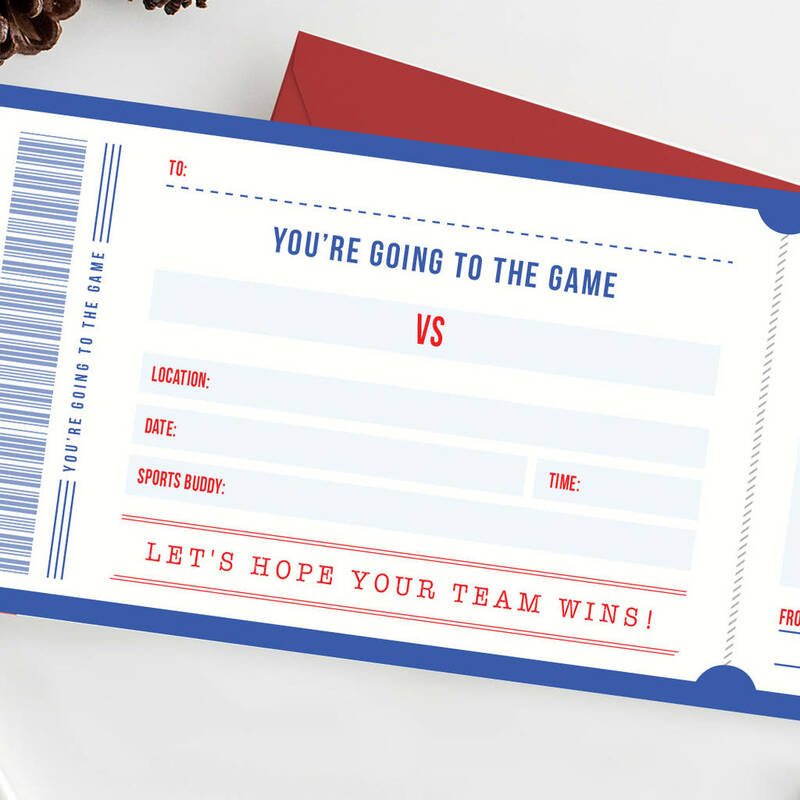 Give them this surprise ticket to announce the match they will be going to! Is it time to give that special someone some relaxing time out? Give the gift of a spa day or spa treatment with this ticket. This spa day ticket is a perfect addition to a relaxing spa day, a great way to announce your surprise, be it for birthday or mothers day. Let that special someone know where he/she is going for her break! Is it time to give that special someone some relaxing time out? Give the gift of a spa day or spa treatment with this ticket. This spa day ticket is a perfect addition to a relaxing spa day, a great way to announce your surprise, be it for birthday or mothers day. Let that special someone know where he/she is going for her break! 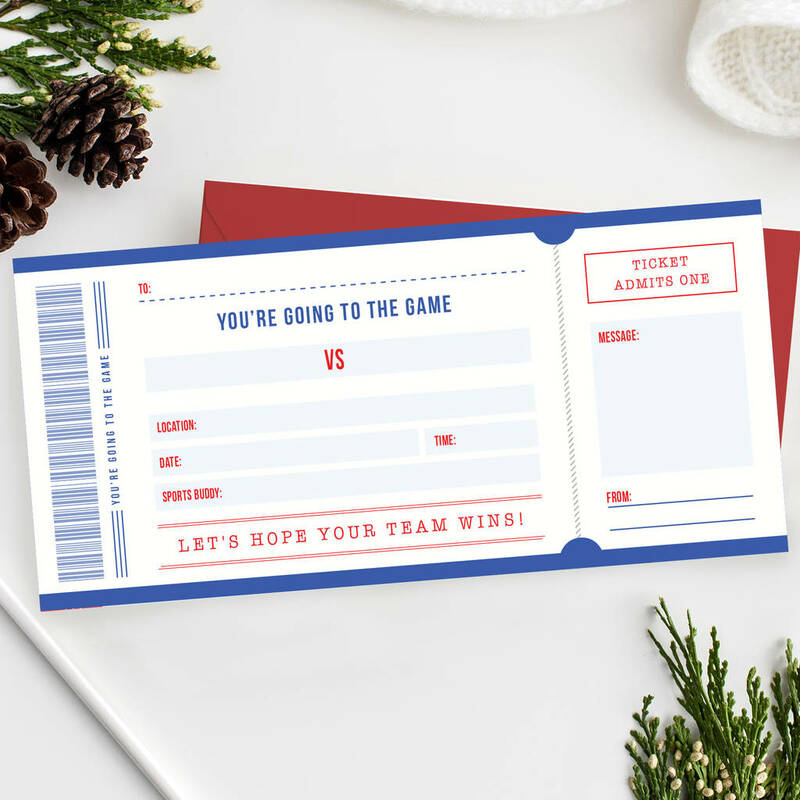 This ticket is printed onto 340gsm uncoated stock. Blush infills come as an extra, we print and stick the infills to the inside the envelopes. This ticket can be used to announce many sports games including tennis, football, Rugby and basketball. This would be an ideal Fathers day gift to acompany your sports game. We are able to print the information onto the ticket for you if you do not wish to hand write on it. This comes at an extra cost and will take upto 10 working days to arrive rather than the suggested 2-3 working days. Printed onto 340gsm uncoated card. This product is dispatched to you by Rodo Creative.